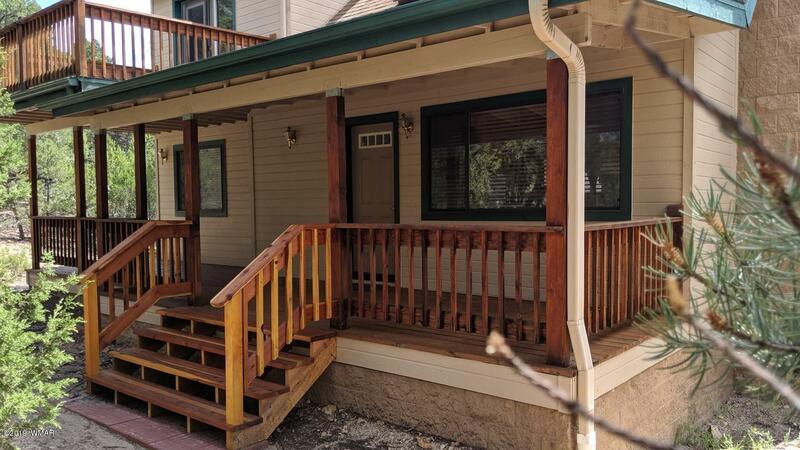 Mighty Mountain Cabin at a mighty affordable price! On a densely treed, level to sloping 1/2 ac lot in one of the top ''Homes Only'' subdivisions of Heber-Overgaard. Loads of character, view decks galore, bright skylights, warm wood burning fireplace, full feature kitchen, full utility room, and full 652 sq ft drive-in basement with roughed-out plumbing, single car door with room for multiple vehicles and a whole lot of toys. Priced to SELL. Seller is AZ licensed Broker.